Hospital workers are relieved after talks with the global food company Sodexo have been called off, union president Norma Robinson says. Hospital workers are relieved talks with the global food company Sodexo have been called off, says Norma Robinson, president of the Canadian Union of Public Employees Local 1215. "The members are very relieved," Robinson said Thursday, adding workers were frightened for their future and worried they would be out of jobs if the negotiations continued. On Wednesday, the provincial government killed the prospect of Sodexo taking over cleaning and food services in hospitals. The move to private food and cleaning services for hospitals in 2012 created a public backlash, and the province later agreed to meet with the union representing the affected hospital workers, Robinson said. Earlier this year, a task force was set up to talk to frontline staff and identify gaps in the system and devise solutions. 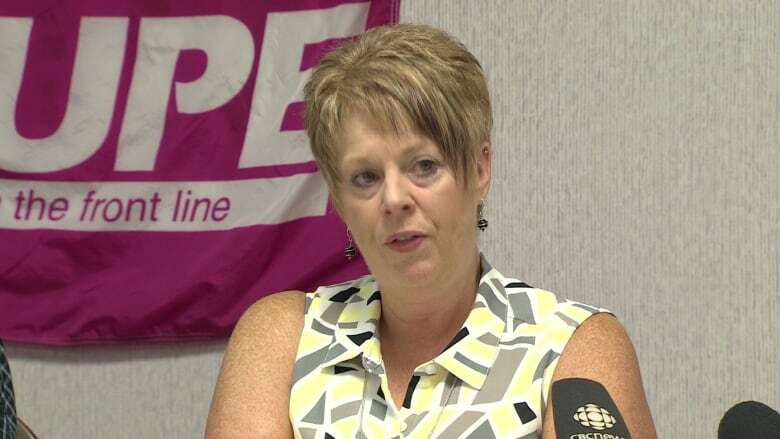 "When you speak with frontline staff, you get the clear picture of what is needed to make those changes within the public system, which is exactly what the task force was able to prove to the government," Robinson told Information Morning Saint John. Robinson said if the government had consulted with workers in the first place, it might not have sought proposals from the private sector. "When you go into the field and you do the investigation and you actually go to hospitals, you go to those facilities and you see the system and then you see the differences," Robinson said. "I think that was the eye-opener." The province said it plans to work with unions to make the food and cleaning services more efficient. "I don't think we're going to see huge changes right away," Robinson said. It will take a year for health authorities to develop a plan to change the system, she said. "We will be the watchdogs over this. We will be the people on this watching to ensure that this goes forward as predicted, and we will deal with things as they come up."